Enjoy this collection of the best tales, fairy tales and stories with an animal cast, gathered for the entertainment and education of children of all age. From ancient Japanese legends to classic tales by Perrault and Andersen, through medieval folktales, you will discover many sides of culture. The Fables of La Fontaine also use animals, behaving as men to bring forth moral teachings and considerations about society. Jean de la Fontaine is the most famous French fabulist ever; he was recognized as one of the foremost men of letters of France, and his Fables are still learned by every child as an essential part of moral culture. 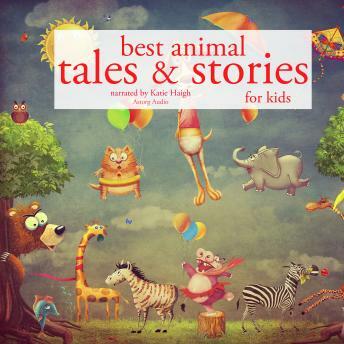 Along with the other classic stories, we have collected for you a selection of his most striking fables, narrated by the best storytellers, for you to enjoy this compilation of the best animal tales and stories ever produced.